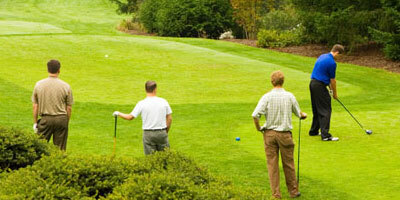 Keep landscape debris and yard waste out of Florida landfills! Recycling these wastes helps to protect the environment, saves money and improves soil. 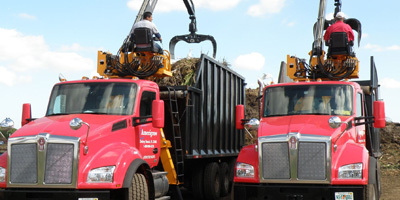 Having the largest fleet of grapple trucks in South Florida, Amerigrow Trucking offers year-round landscape debris pick-up and disposal service for large quantities of landscape debris. 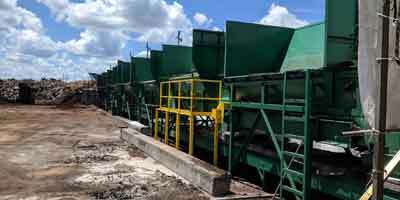 Amerigrow Recycling also has a year-round convenient and safe landscape debris disposal facility located in Delray Beach. We have the newest and largest fleet of high-capacity trucks in South Florida and are the ONLY blow-on installation company in South Florida that manufactures the products we install. We actually work year-round for homeowners associations, apartment and condominium communities, golf courses, landscapers, business properties, hotels & resorts, schools, municipalities and other large-scale projects. Mulching Solutions requires a minimum order of 30 cubic yards per Blow-on Installation job (may be more, depending on location) but no quantity is ever too large! Amerigrow Soils Goes Green AND Grows Green! Amerigrow Soils formulates and manufactures many diverse soil mixes, planting blends and custom products. All Amerigrow's planting blends are made with the highest quality amendments and some of the soils are blended with 100% organic compost, which we manufacture on-site at Amerigrow using our fully-computerized state-of-the-art blending system with flow sensors and weight scales for precise, consistent and quality mixes every time. 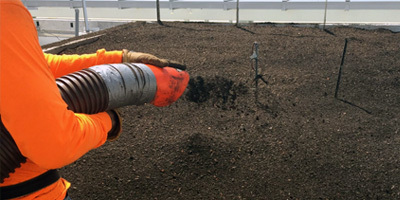 Mulching Solutions offers roof top installation, we are the only Blow-on installer who is a licensed exclusive blender, distributor and installer of certified rooflite products, covering SE & SW Florida, Tampa and St. Petersburg. Let us make your job easier and more cost effective in the end. Mulching Solutions leaves no mess behind. 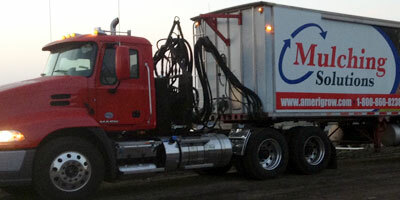 Delivery of bulk material is available throughout many areas of Florida. 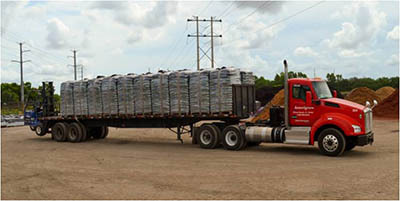 For mulch, we require a minimum order of 20 cubic yards for delivery and can deliver up to 100 cubic yards at a time depending on the weight of the product. For soil, we require a minimum order of 20 cubic yards for delivery and can deliver up to 100 cubic yards at a time, depending on the weight of the product. You may also pick-up many products at our convenient Delray Beach store. Please call for availabilities. Since 1995, Amerigrow has been South Florida’s leading innovator in organic recycling methods, organic groundcover products and specialized landscaping services. Amerigrow has come a long way since 1995, diversifying in order to meet the many unique needs of our customers.